Read more or subscribe to Larry's work here: larrygmaguire.com/subscribe. Follow Larry @larrygmaguire on Twitter. If you enjoy this episode, please help spread the word and offer a review on iTunes. 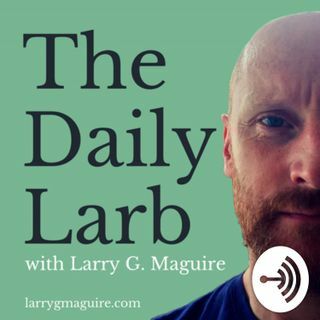 In today's episode of The Daily Larb Podcast, I'm taking a look at how our pursuit of Convenience may be a major contributing factor to our stress and anxiety, and how this pursuit of Convenience is actually robbing us of the ability to deal with stressful conditions. I'm using ... See More food as an example of how we are sacrificing quality for quantity and how that new crappy product has become normal. Exercise plays a roll in helping us deal positively with stress, and now that I'm getting my act together in that regard I have some points to share with you.